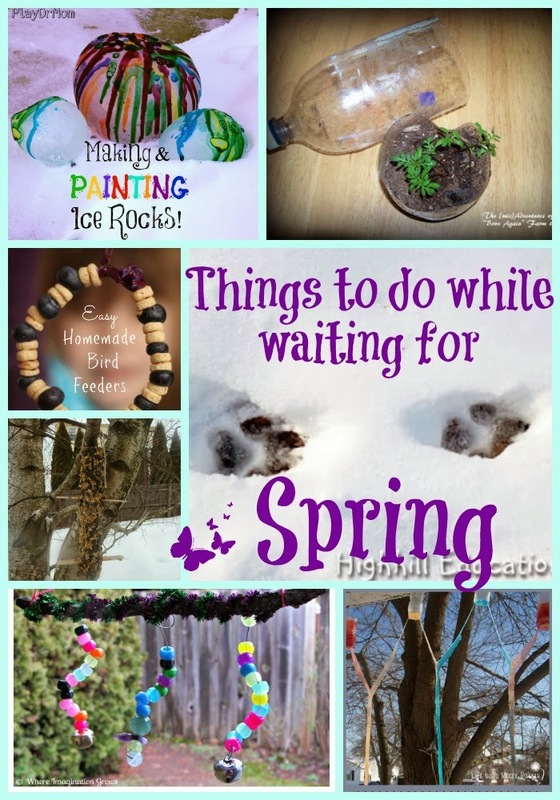 This past week I have been hearing birds and seeing more and more animals out and about, and that can only mean 1 thing......Spring is (finally) on it's way!!! 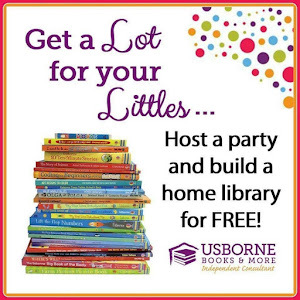 For now it is still cold and dreary, so I found some features to get us through this last bit of winter and look forward to warmer days! Highhill Education has been taking advantage of having snow to examine all the animal tracks! 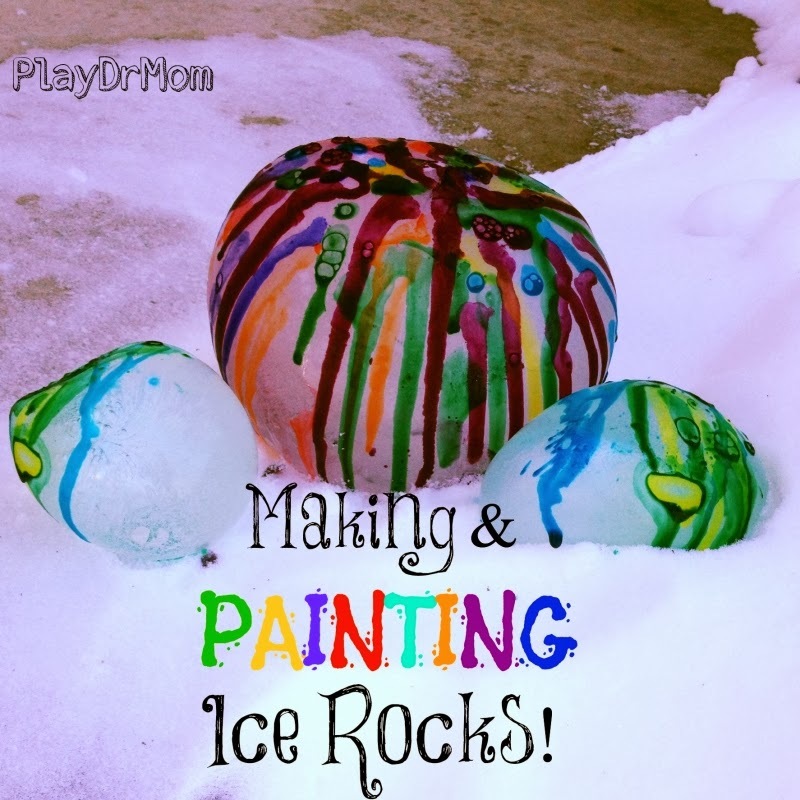 Play Dr Mom did some painting on ice that would be lovely in any season but definitely brightens up the snow! 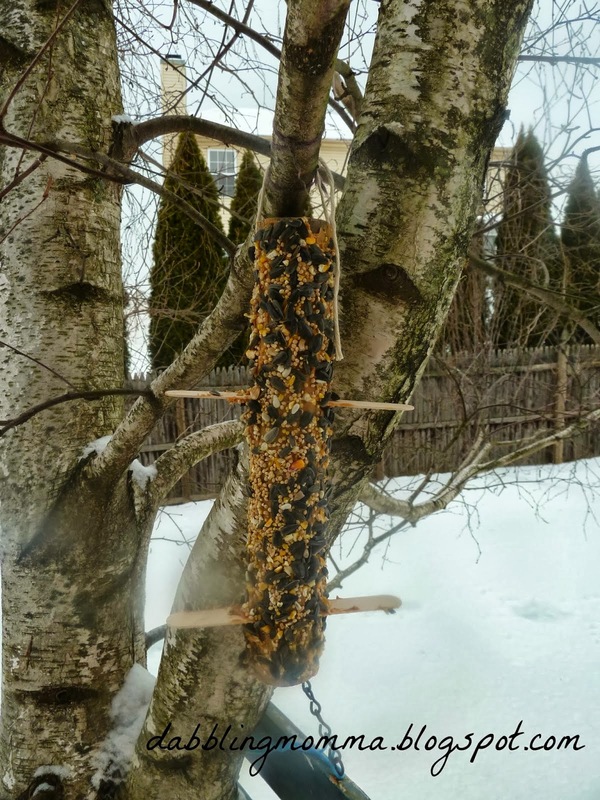 Dabbling Mamma created bird feeders from recycled materials to welcome back the birds! 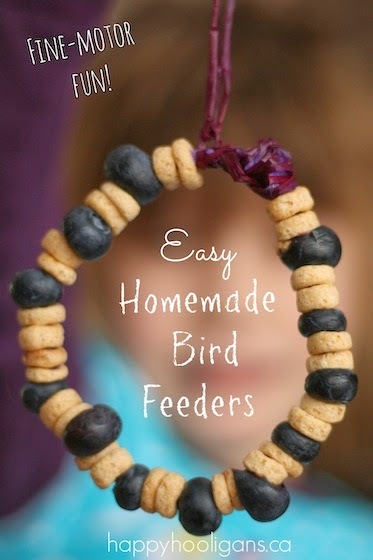 Happy Hooligans also made some bird feeders that look simple for little hands. The (mis)Adventures of a Born Again Farm Girl is starting her garden using 2 liter bottles as a green house! 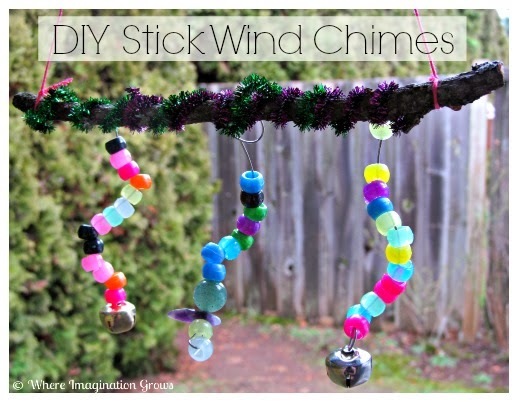 Where Imagination Grows gathered some sticks and some craft materials to make these colorful wind chimes! 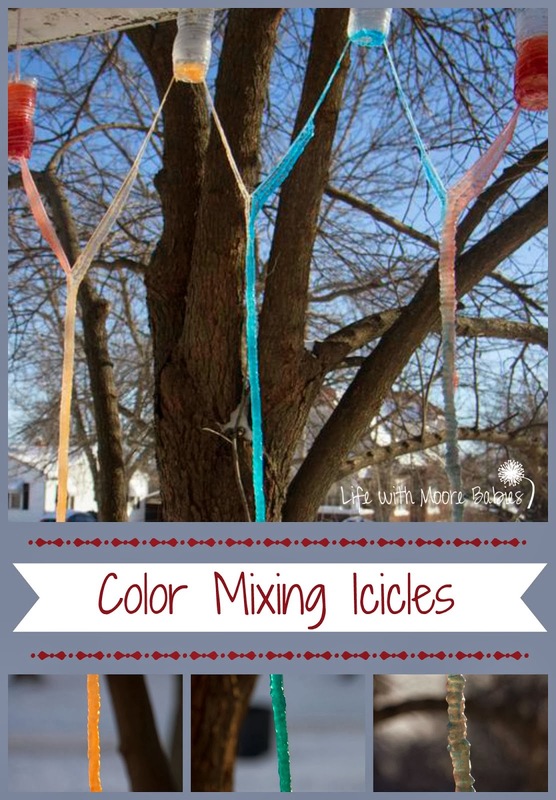 We recently had another bout of extremely cold temperatures, and used our Color Mixing Icicles to bring some color to our landscape. 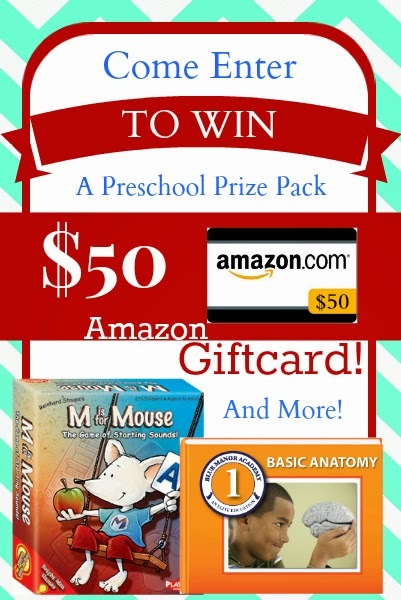 This week we are giving away $100 Preschool Prize Pack! Read all about what is included over at True Aim!